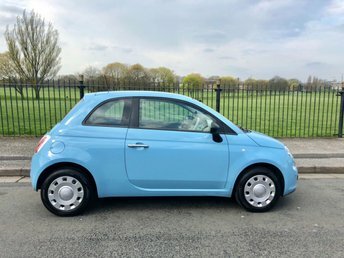 NEW ARRIVAL..... GREAT VALUE.....VOLARE BLUE.....POP LEATHER INTERIOR EMBOSSED WITH 500 LOGO ON FRONT SEATS......RADIO/CD..... HPI CHECK CLEAR....... CONNECTIONS FOR AUXILIARY AUDIO DEVICES...... STEERING WHEEL MOUNTED CONTROLS...... ELECTRIC MIRRORS.... LEATHER GEAR KNOB....... CHEAP INSURANCE - INSURANCE GROUP 5...... CHEAP ROAD TAX..... CHEAP TO RUN..... IDEAL FIRST CAR....... 2 KEYS...... FRONT HEAD RESTRAINTS..... ELECTRIC WINDOWS..... REMOTE CENTRAL DOOR LOCKING. 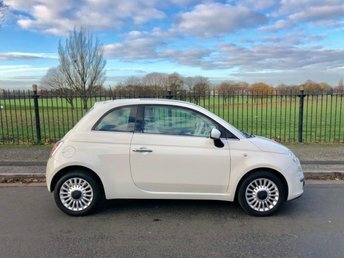 At Wavertree Car Centre Ltd, we’re pleased to offer a wide range of quality pre-owned Fiats at an affordable price. 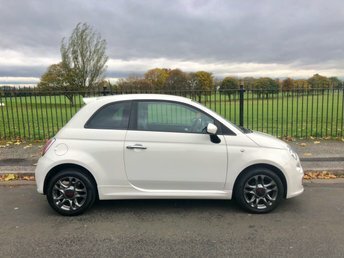 From the stylish and economical 500 to the universally popular Panda, we’re sure we can find a car that suits you and your budget perfectly. All of our cars come with a 3-month parts and labour warranty to give you complete peace of mind and allow you to enjoy your new investment! Rather than deal with the hassle of privately selling your car, why not part exchange it with us? We can provide a free, no obligation quote! 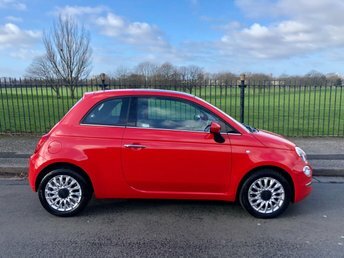 Why not visit our showroom in Liverpool today and let a member of our expert team provide you with your perfect car today!